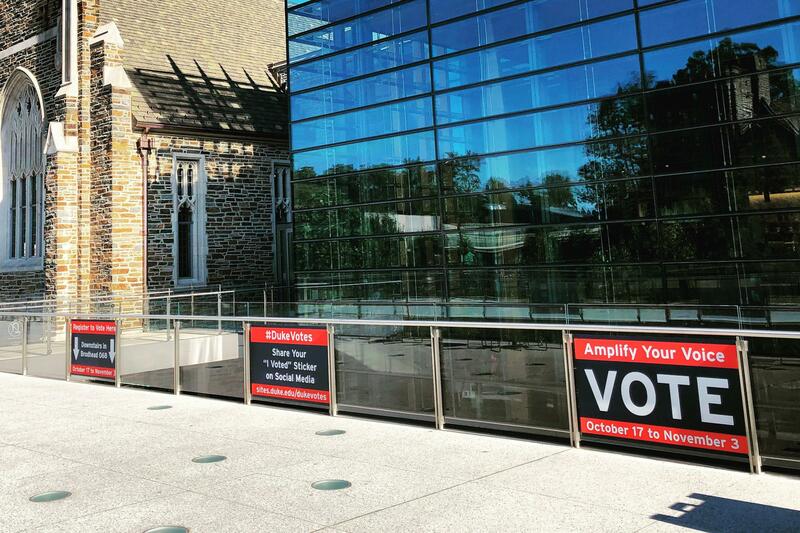 The Durham County Board of Elections will host an early voting site on Duke University campus, in Room 068 of the Brodhead Center, through the duration early voting. An identification document is required when using Same Day Voter Registration during Early Voting. For students living on campus, a DukeCard is a valid form of identification. Otherwise, the acceptable documents that may be used include: a North Carolina driver license, a photo ID from a government agency, a copy of one of the following that shows the name and address of the voter: a current utility bill, bank statement, government check, paycheck or other government document.